A council has had to step in to organise alternative transport after a local bus company ceased to operate at short notice, reportedly after its managing director told staff he could no longer work with them. 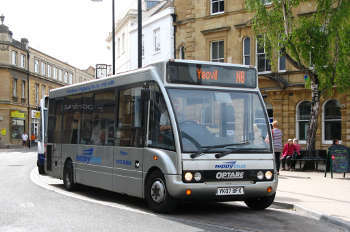 Somerset County Council said it was given no prior notice of a decision by Nippybus late on Sunday to cease operating with immediate effect. The firm ran several school and public bus contracts as well as demand responsive transport services and private services. It said that more than 300 students across four schools were affected on Monday morning. Although most services did run, some were delayed by up to an hour. With the support of other operators, officers found replacement services and the council said it will be making permanent arrangements as soon as possible. A number of public bus services were also affected and the council said officers had been working with operators to find replacements. Press reports said managing director Sydney Hardy sent staff an internal memo saying he was ‘getting off’ after 13 years in charge of the company. Mr Hardy reportedly wrote: ‘There is a difference between giving up and knowing when you have had enough. I have had enough and realise I cannot work with you, the people I employ, a moment longer. Drivers at the company told the Guardian they were shocked at losing their jobs without warning.